​FIFA 19 TOTW predictions are flying in after national football leagues got back underway after the Champions and Europa Leagues started the knockout stages. Premier League title race implications were on the line in Manchester United vs. Liverpool, Arsenal crept back into the top four with a 2-0 defeat over Southampton, and Manchester City captured its first trophy of the season defeating Chelsea in the Carabao Cup final. But it was a La Liga Santander collision between FC Barcelona and Sevilla that stole headlines. Well, more specifically an Argentinian in the match that stole headlines. Lionel Messi started at RW and scored a hat-trick and nabbed an assist on Luis Suarez's goal for a ridiculous performance. So, for FIFA 19 Team of the Week 24, is a new Messi card inbound? Here's what we know about a potential second in-form Messi card in FIFA 19. 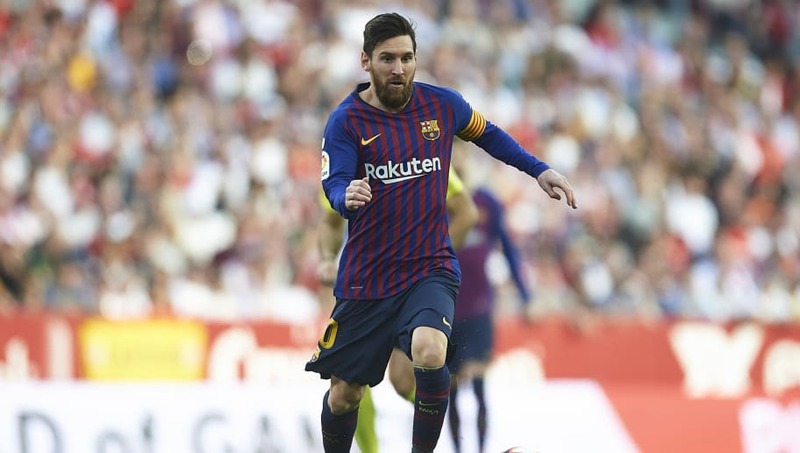 Considering Messi's ridiculous, though what's considered another day in the office for arguably the greatest footballer of all time, it would be a shocker if he didn't receive his SIF of the season. His first IF came back on Dec. 19 when he got a 96 ST card. He currently has a 95 RW UCL Team of the Group Stage card, but his base card is a CF. Other cards to look out for in the TOTW include Liverpool's goalkeeper Alisson and Arsenal's attacking midfielder Henrik Mkhitaryan. Oh, and young Pari Saint-Germain superstar Kylian Mbappe might receive his third IF. What a TOTW. May your red player picks be blessed.